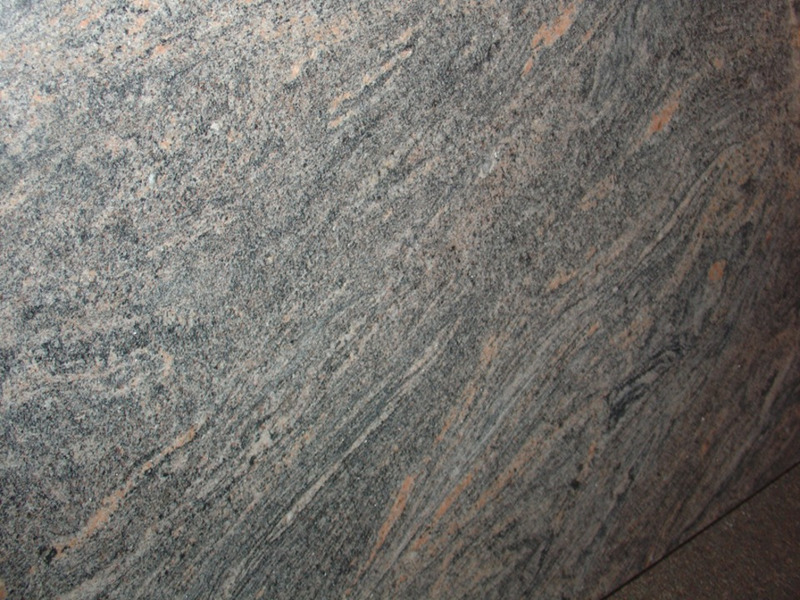 There are dozens of patterns and colors in natural granite. Here is a selection of our most popular. 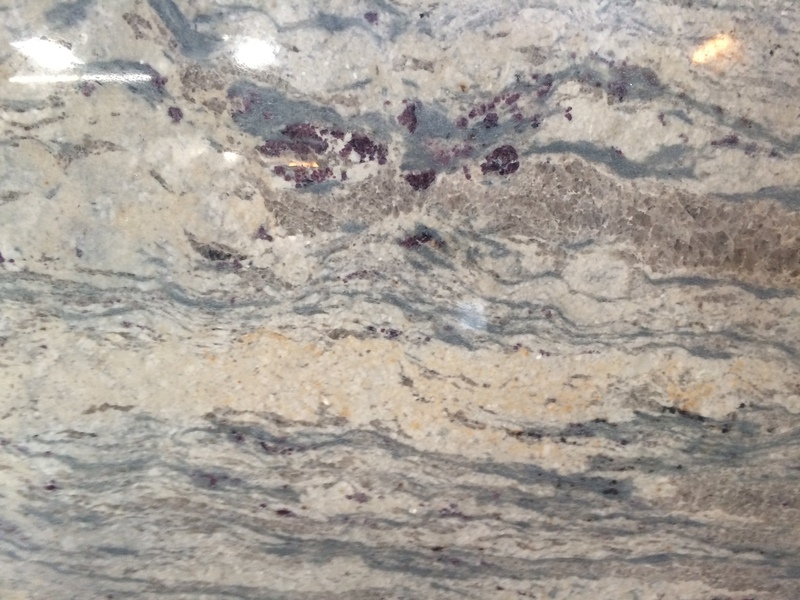 The selection at Granite Passion is updated with each new shipment. Contact us with any questions on color. 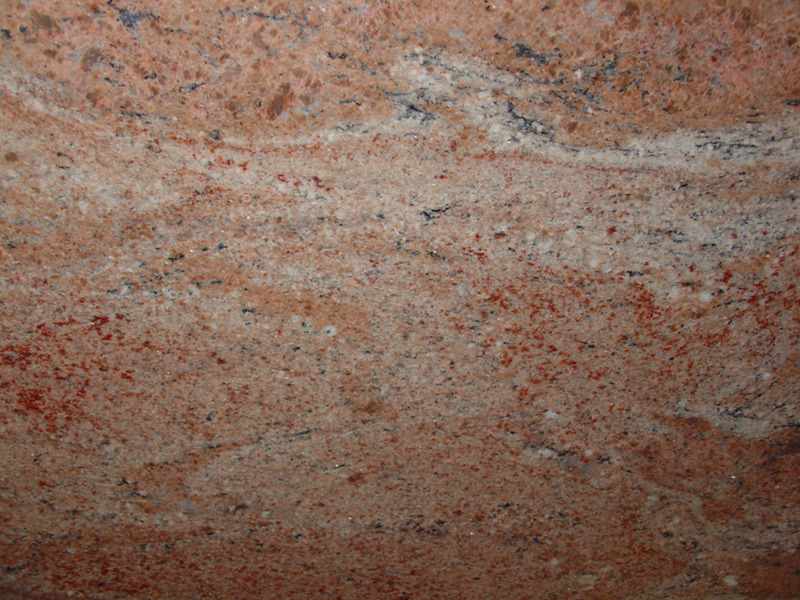 Remember, it is notoriously difficult to reproduce exact color on a computer monitor, and every slab of stone has its own unique tones. 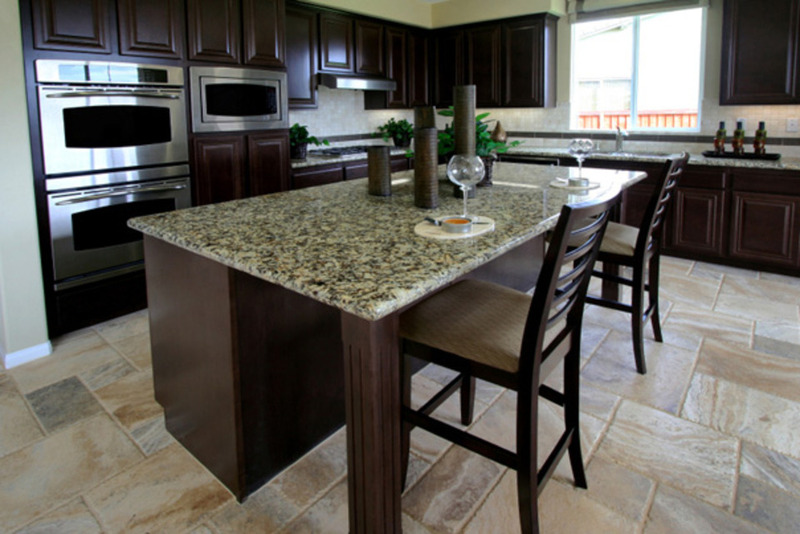 Regal look… priced for Everyman! 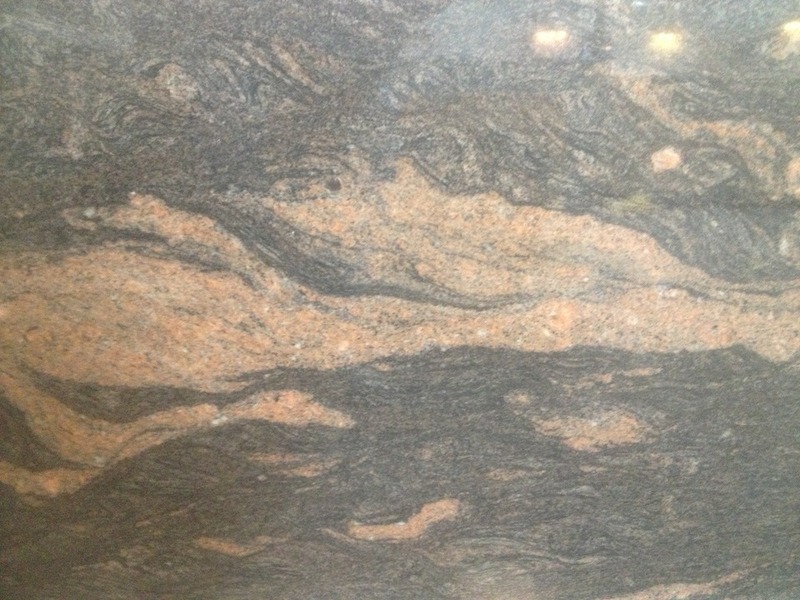 A rare stone from South India, warm and dramatic. 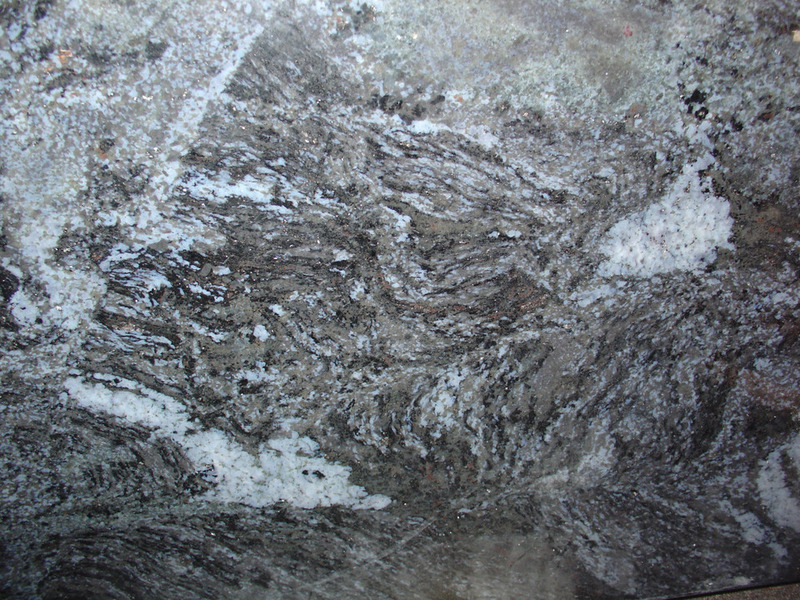 Another granite imported exclusively by Granite Passion. The perfect tone for the High Desert palette. 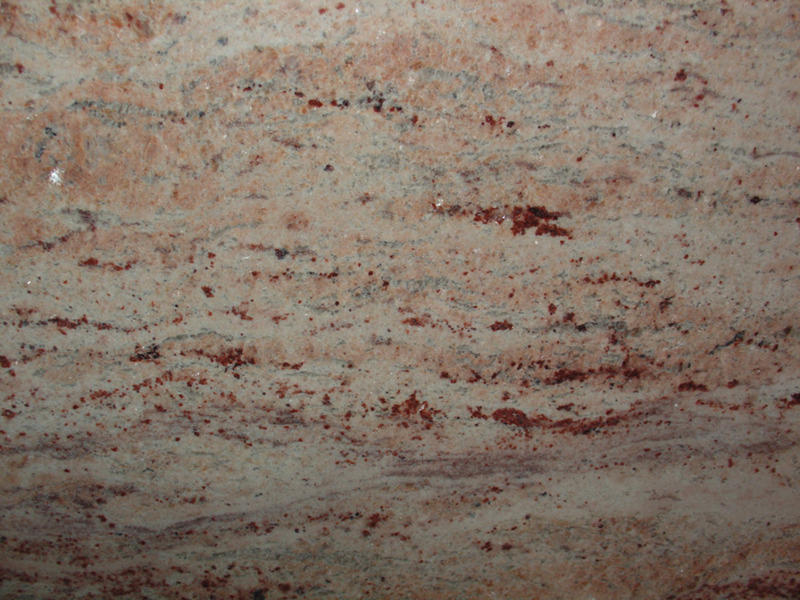 Amazon granite color by Granite Passion in Albuquerque, New Mexico. A stunning blend of beige, linen and claret, this will bite your senses like a piranha — at a level one price! 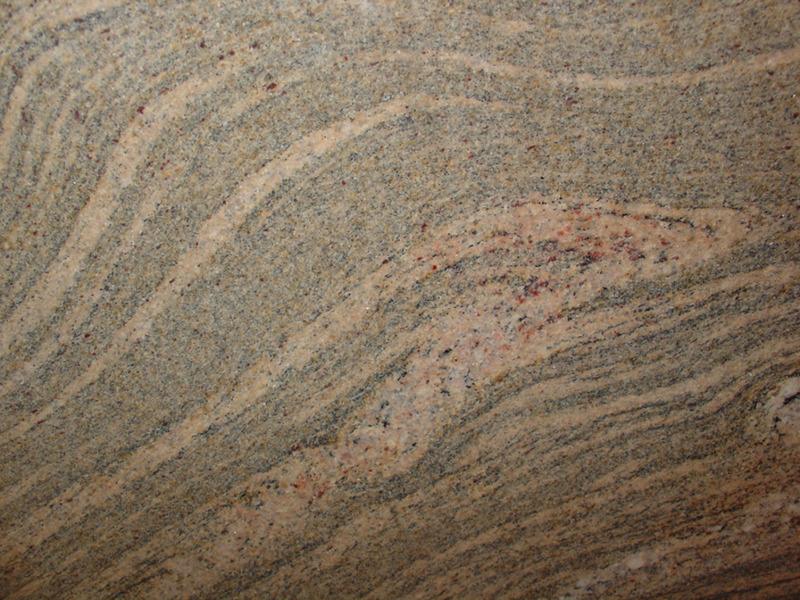 Surf granite color by Granite Passion, Albuquerque, New Mexico. Intriguing blend of seashore green and subtle greys. A Super Value! Spectacular ruby rivers with quartz sparkles. Must be seen! Unique import, only at our showroom. 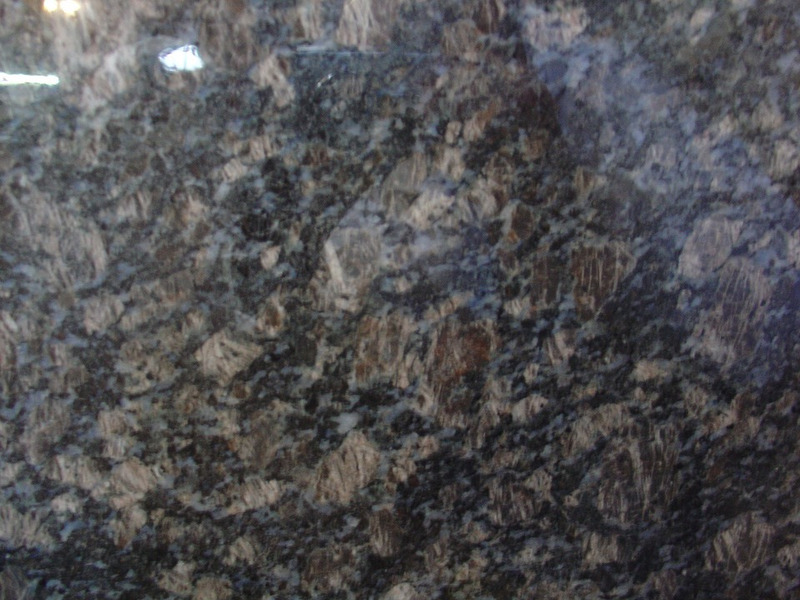 Dark and subtle green with flashes of blue opalescence. New to the market! 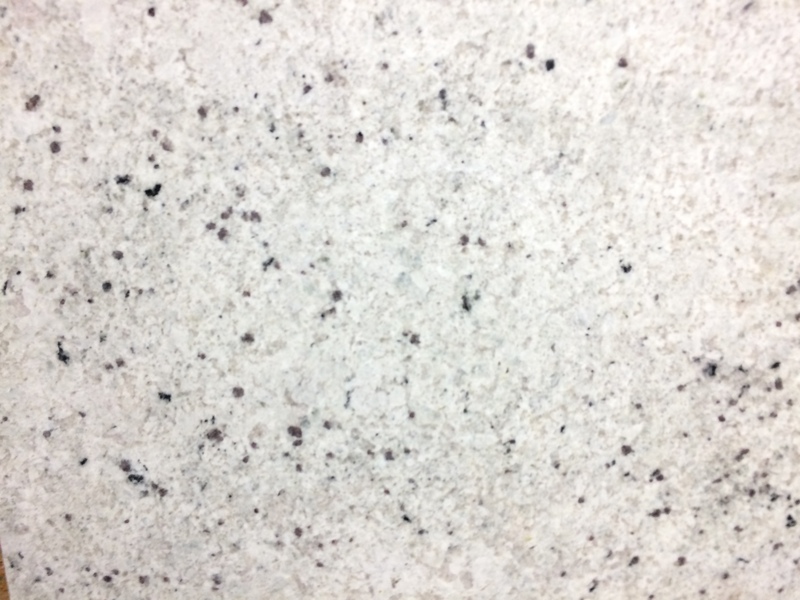 Warm, aged ivory tones with blue/grey base, studded with cranberry garnet crystals. 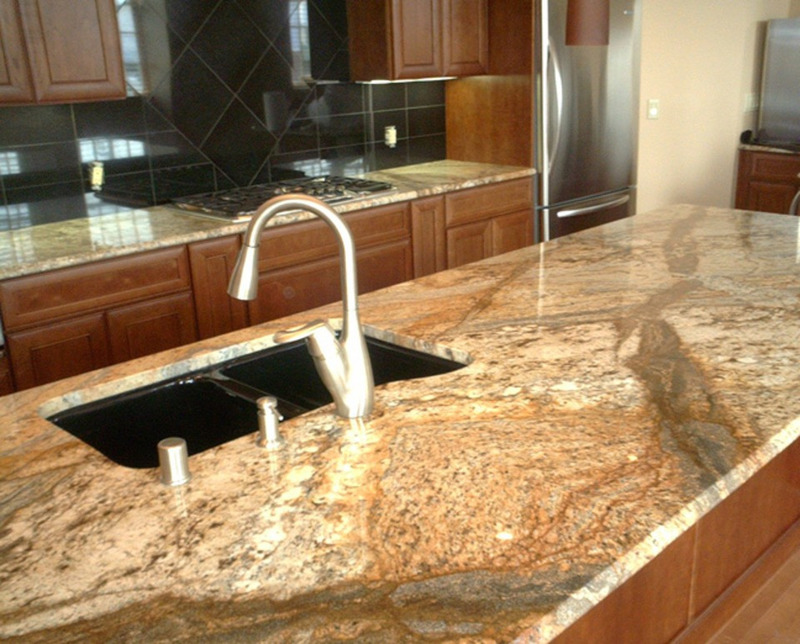 Mellow and warm, ideal with earth tones. 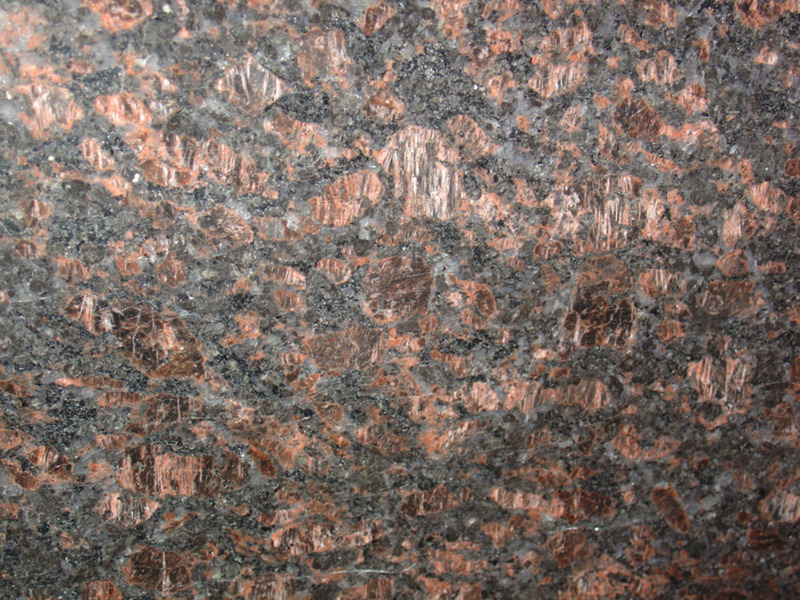 Darker terra-cotta fossil shapes on rich chocolate background. 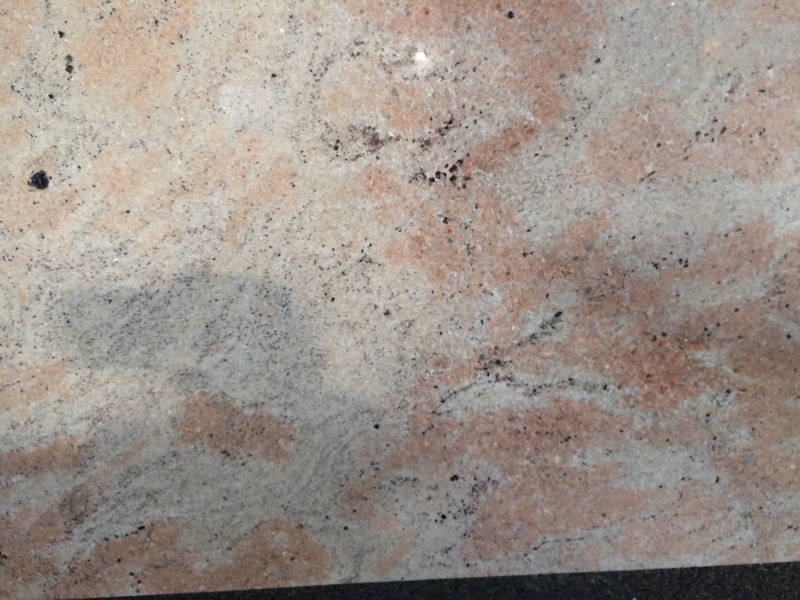 Coral shades with bold rivers of rose, grey and white quartz. 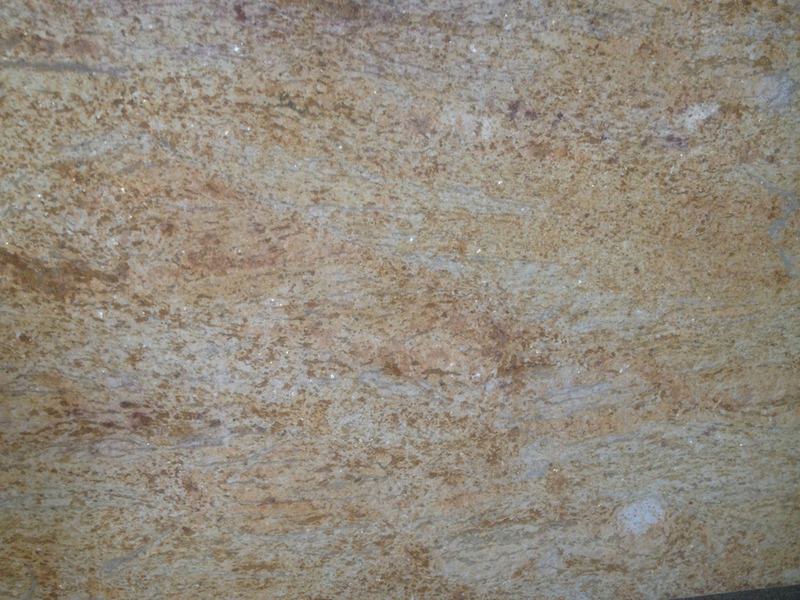 Rich golden stone with small rivers of green and white quartz. 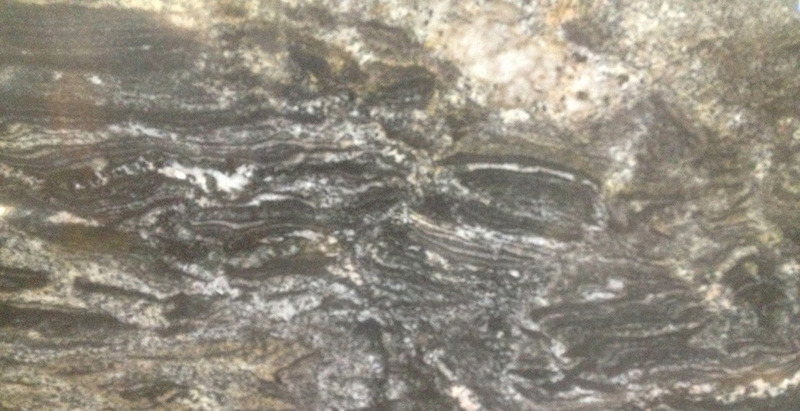 The classic Victorian stone... perfect for contemporary kitchens. 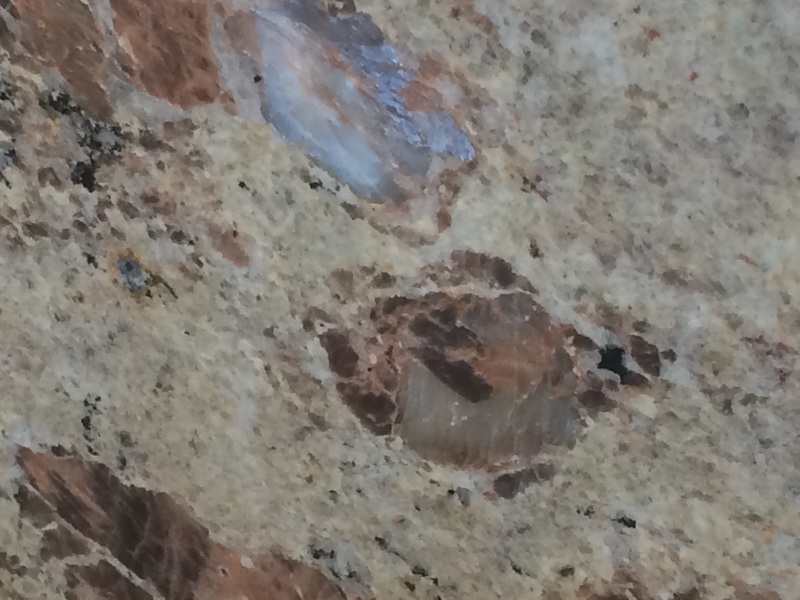 Just arrived and unique to New Mexico — a maze of turning crystals in orange, red and tan. Warm gold tones with cranberry-colored inclusions of garnet. 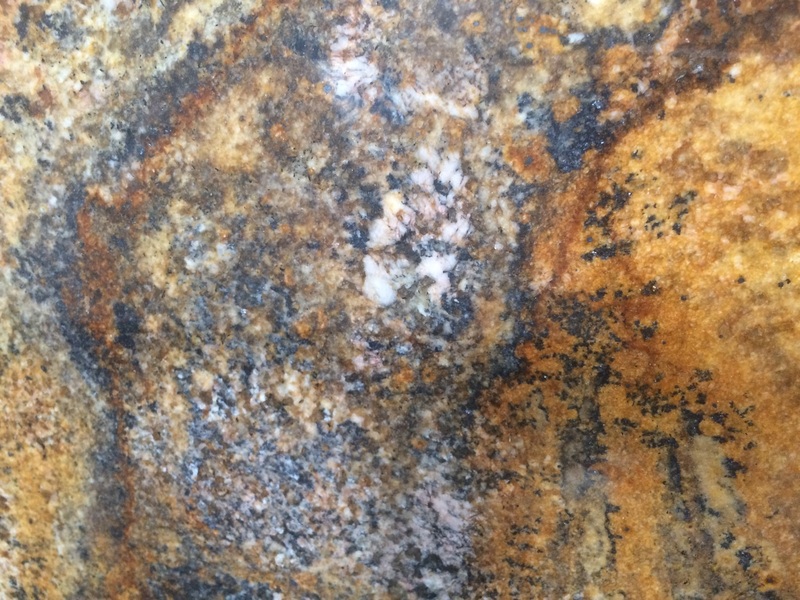 Stunning black and tan, beautiful crystal and peridot inclusions. 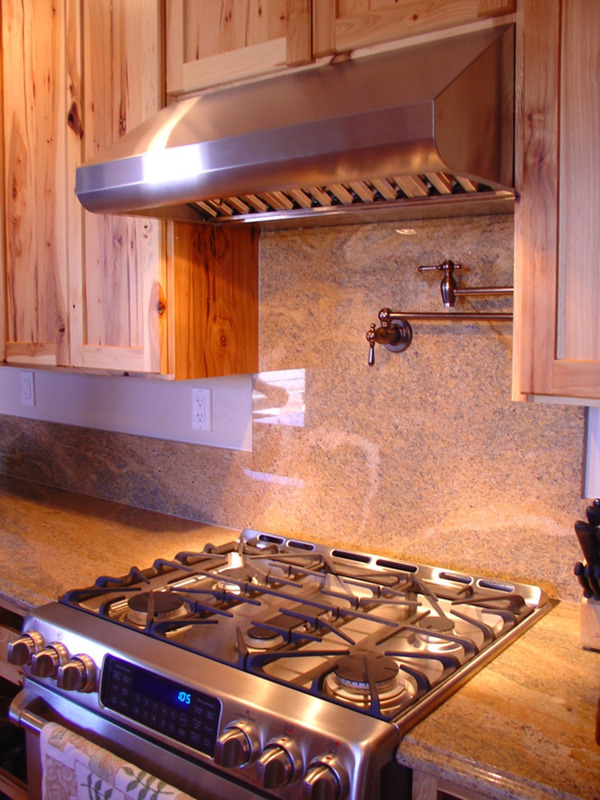 Installs lighter than it looks, has very high polish. 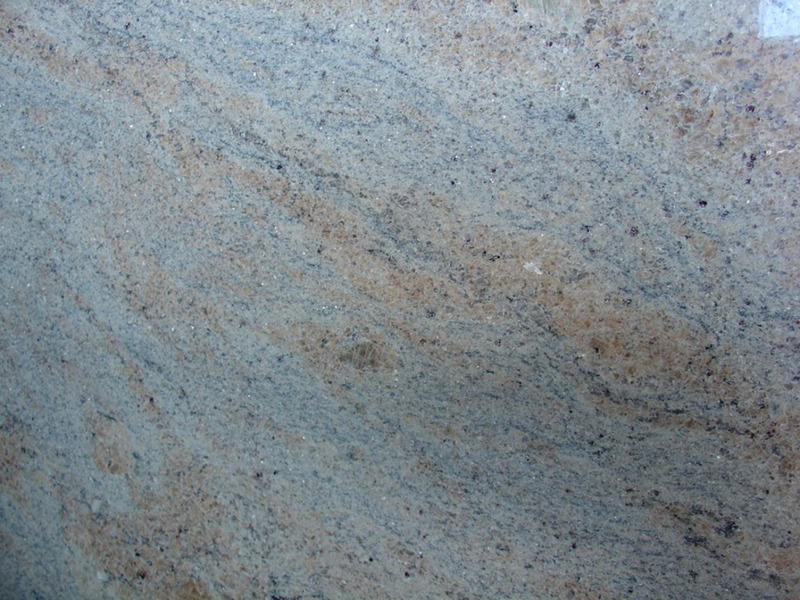 The rarest granite color ... blue. Dramatic movement of robin's egg blue on swirling ocean colors. 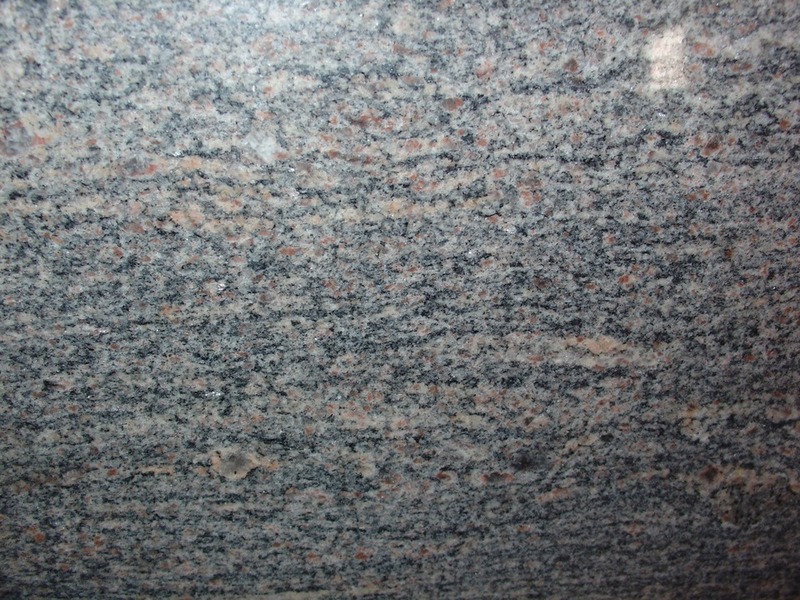 The only blue granite found in Asia, imported exclusively from the source. 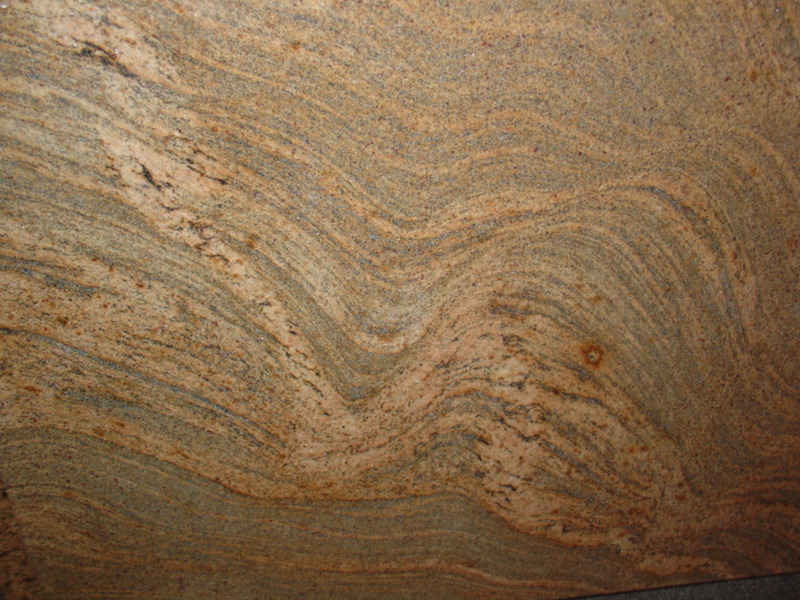 Stunning stone with warm colors, cloissoned with black. 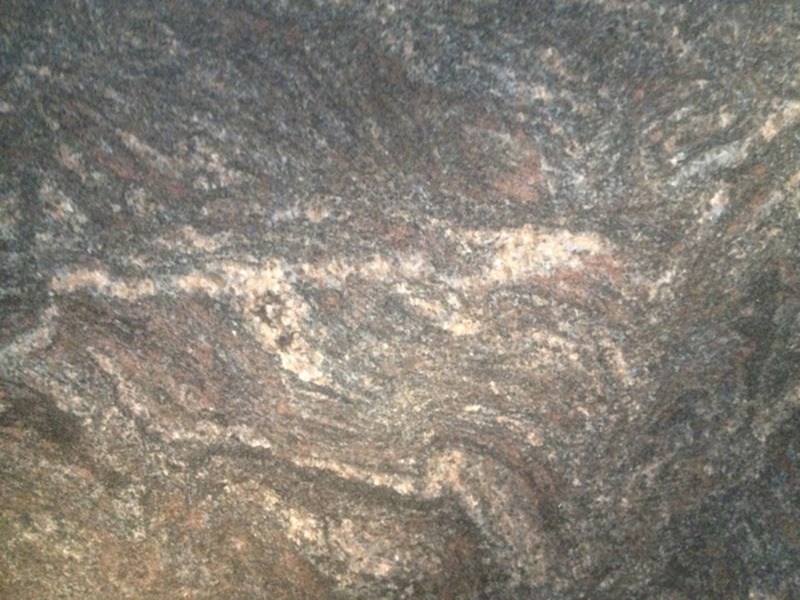 Imported exlusively by Granite Passion from the quarry. Dramatic movement of rose tints on blue waves. Subtle combination of muted tans, burgundy and grey. 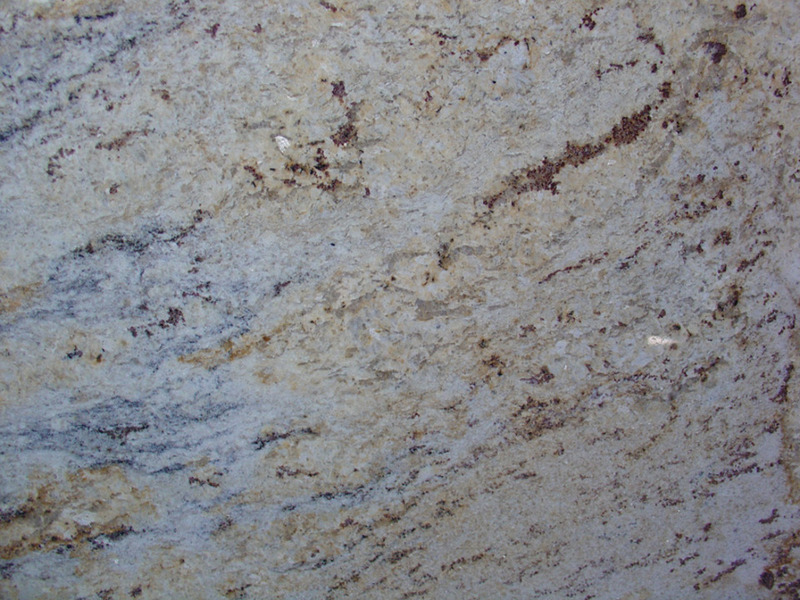 High mica content gives a wonderful sparkly appearance. 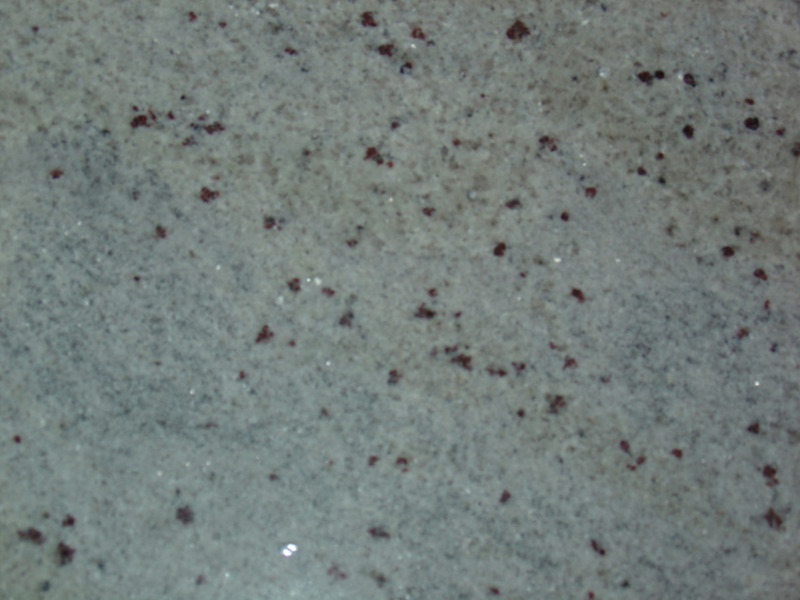 Cool, blue-grey stone with areas of terra cotta and cranberry inclusions. 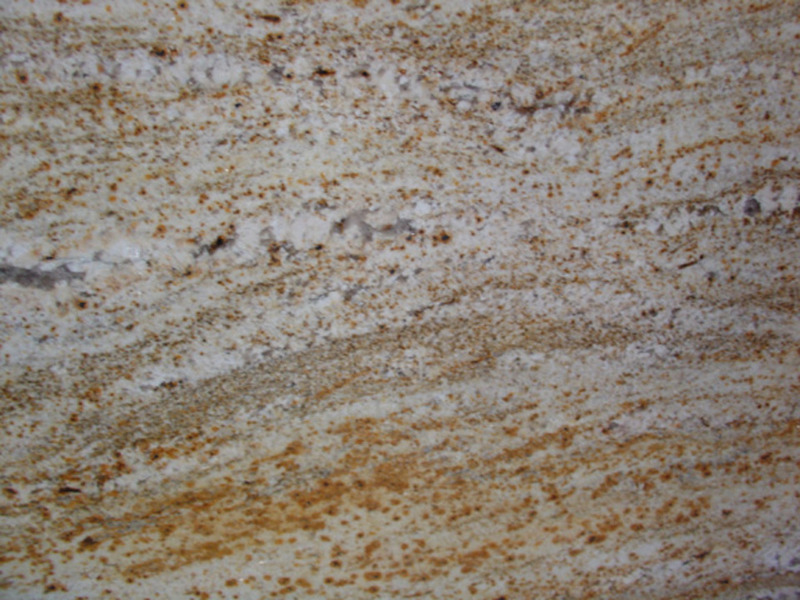 Warm beige background, with small patterns of robin's egg blue and tan. Grey tones with lively patches of terra cotta. 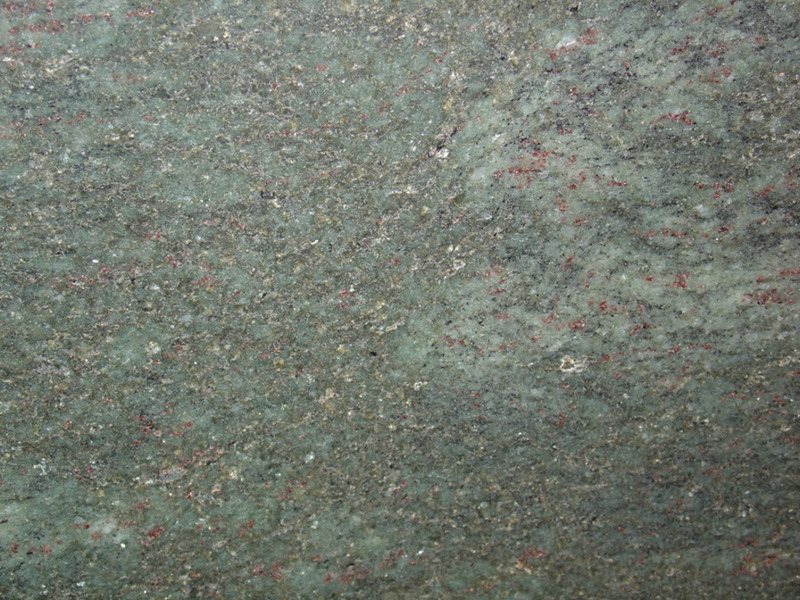 Rich bottle-green background with green relief, and occasional inclusions of garnet. 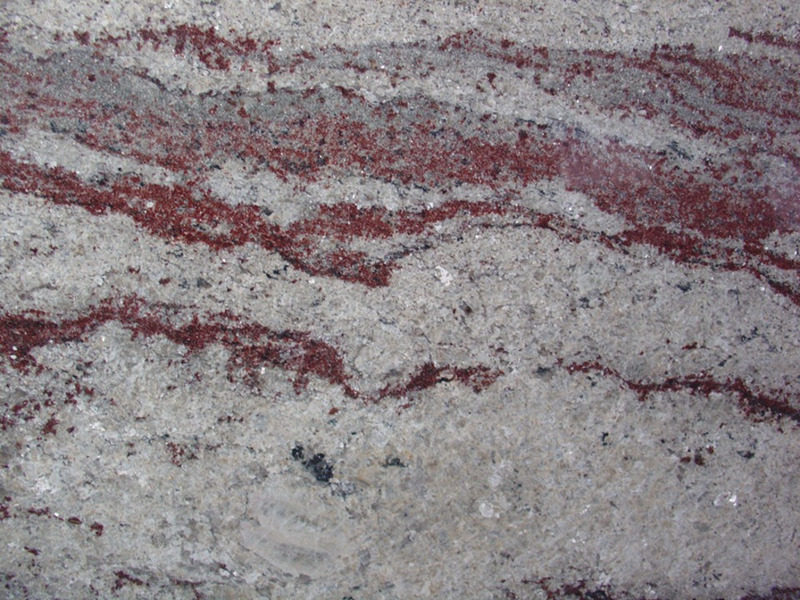 Stunning premium stone with blood red movement on white quartz and mica. 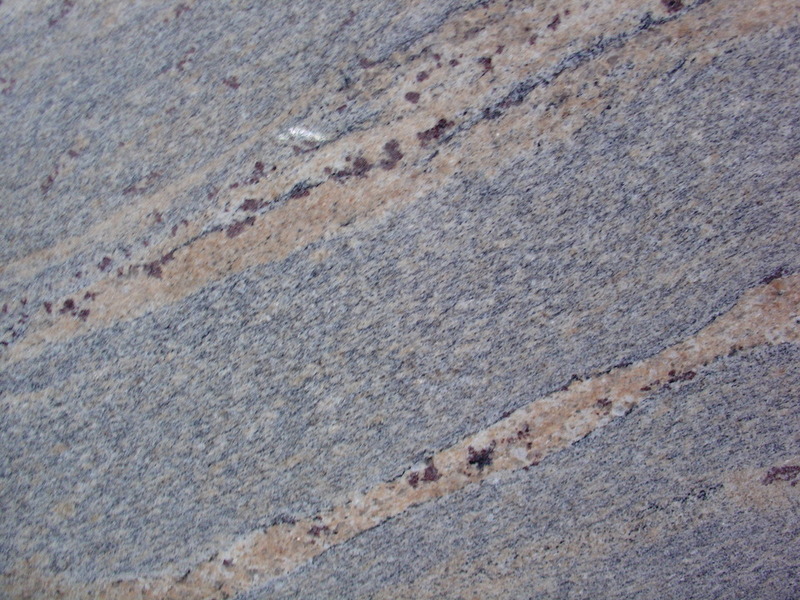 Indian granite, pronounced Jib-lee. 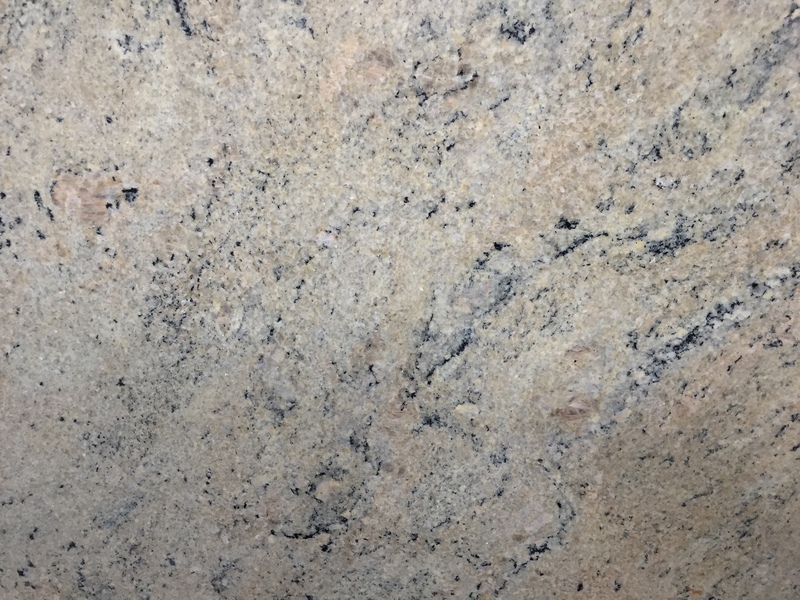 Light beige granite with minimal movement. 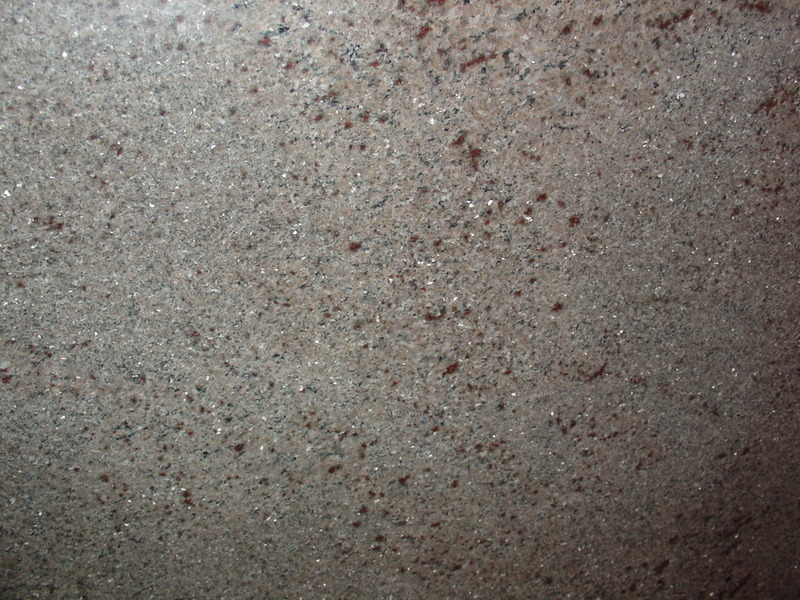 Dark brown background with highlights of copper, beige. Deep brick color with small dashes of dark moss green. 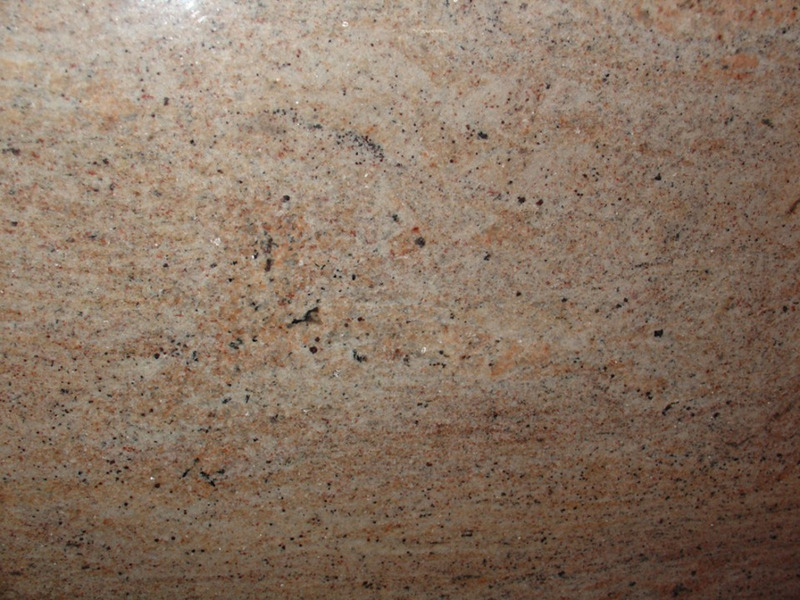 Perfect with red tone tiles and darker cabinets. Cream and pale red-brick tones, with patches of burgundy. 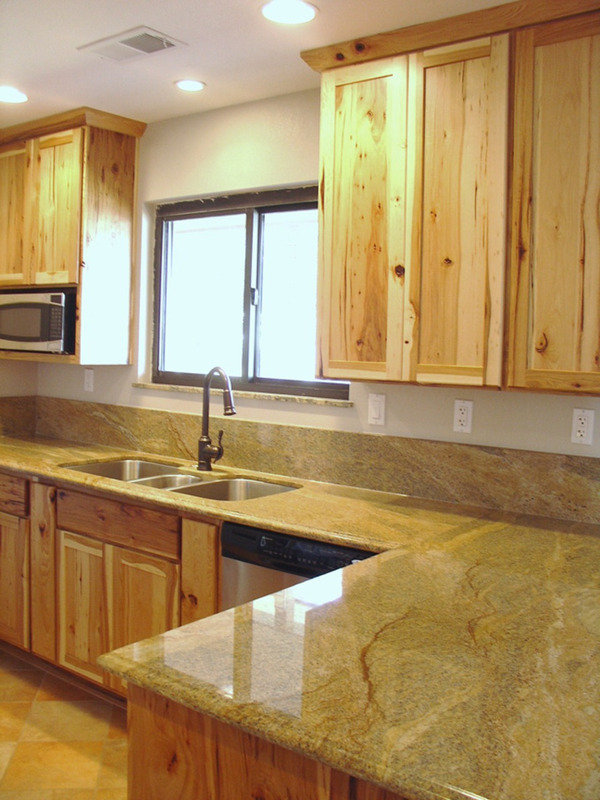 Goes splendidly with earth tones and tile. 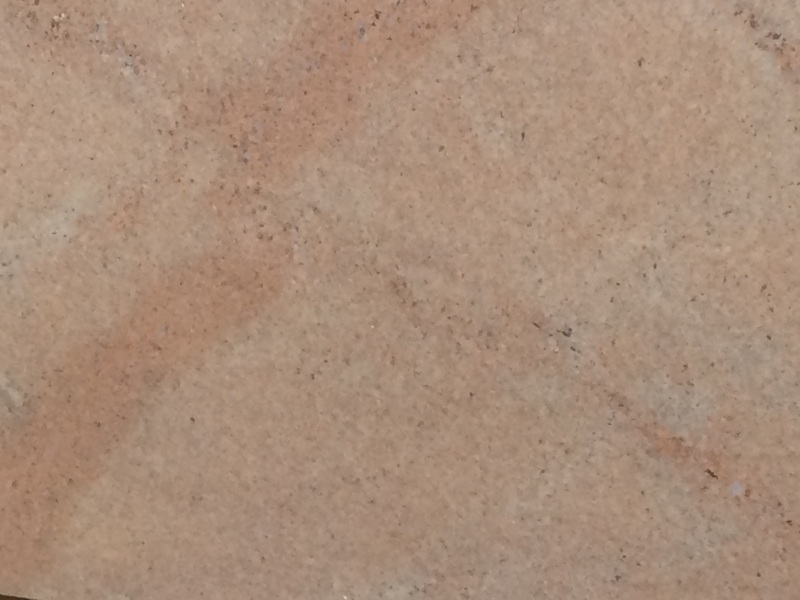 Warm cream-colored backgound with hints of beige and grey. 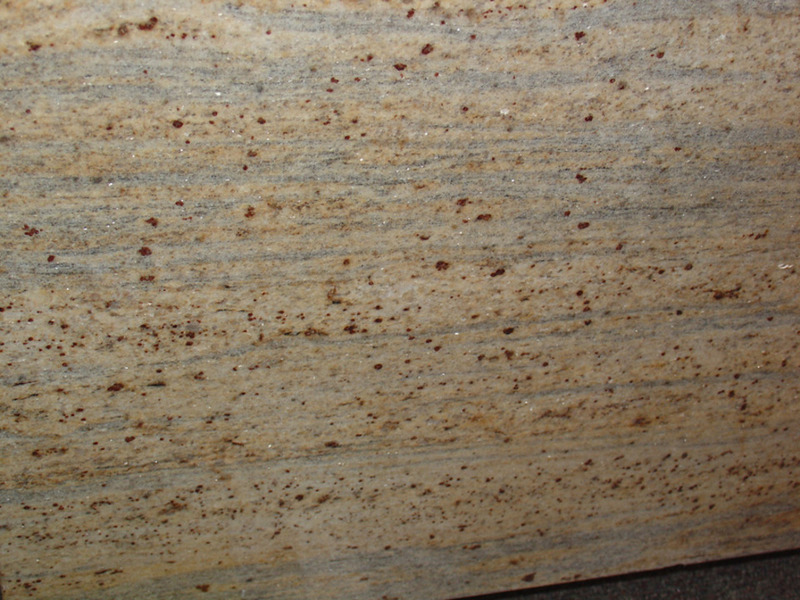 Warm gold and beige, consistent appearance. 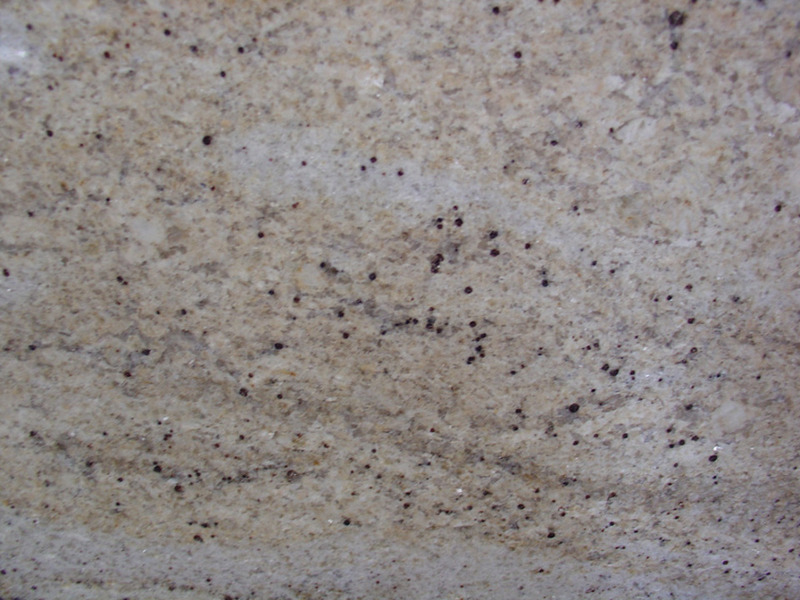 A rich cream background with golden pattern, occasional breaks of sky blue. 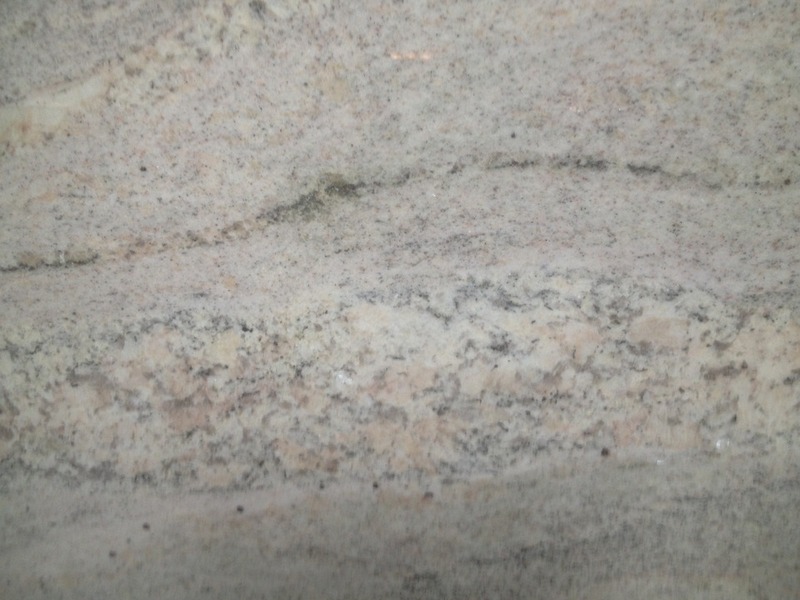 Another stone that varies considerably from quarry to quarry. Despite the name, it actually from Southern India. 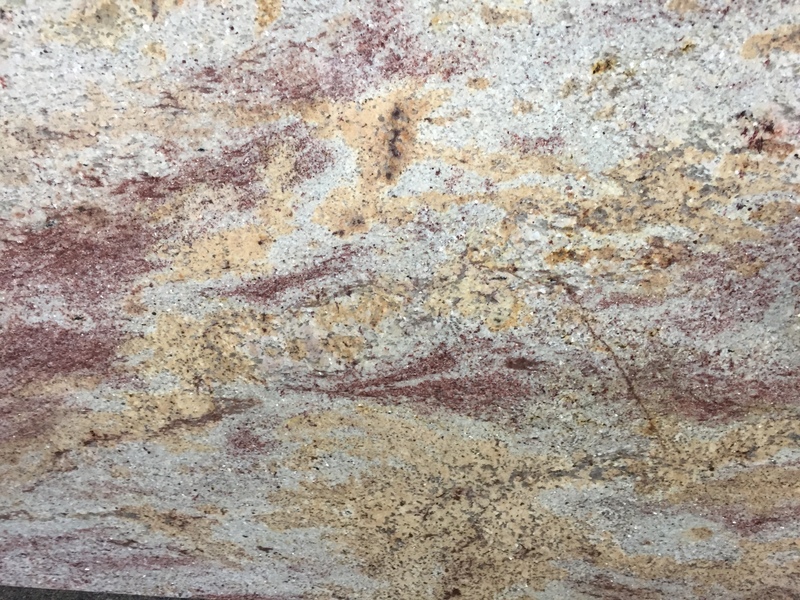 A medium tone gold background, with a few burgundy flecks (natural garnet). 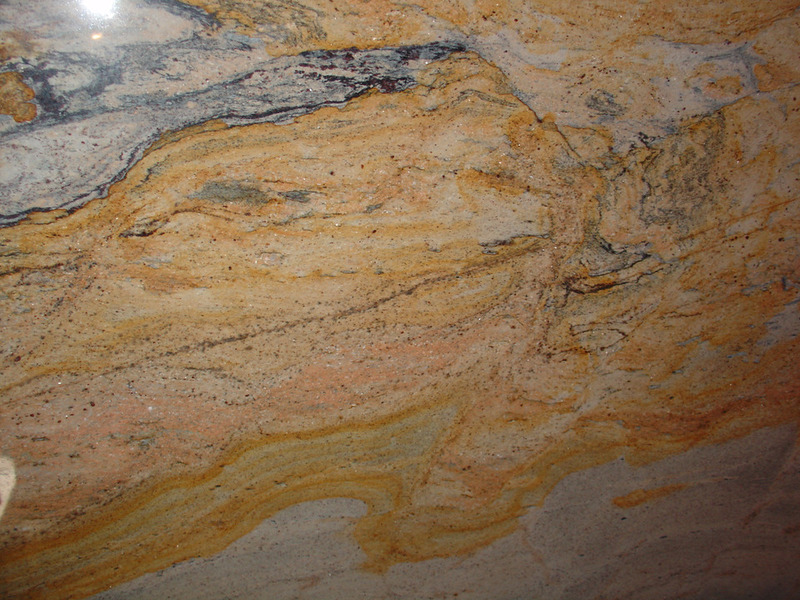 Tremendous swirling patterns of golds, sometimes with garnet inclusions. 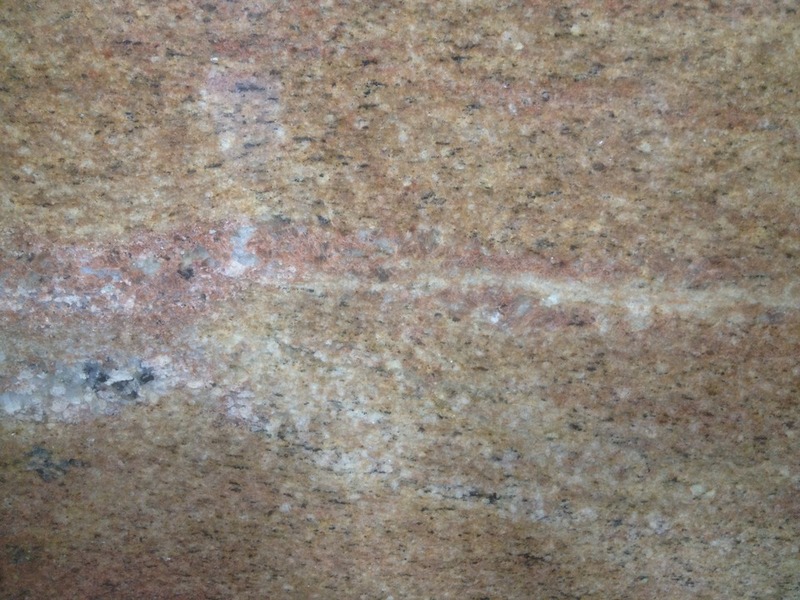 This stone varies considerably from quarry to quarry. 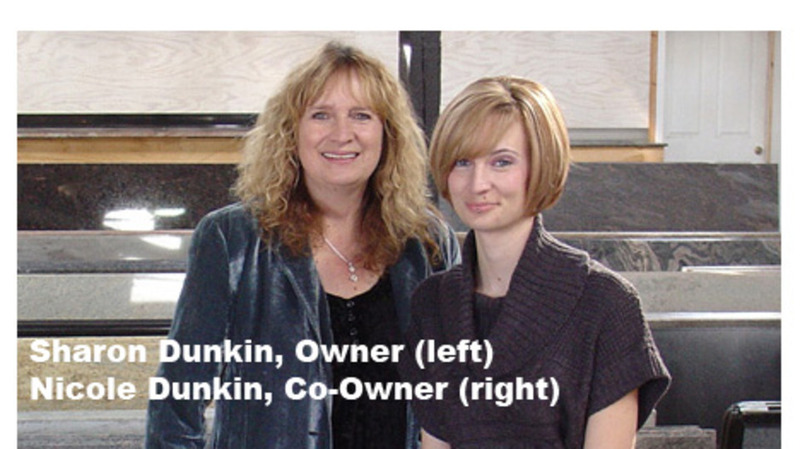 We recommend selecting each piece at our shop to insure the best match. 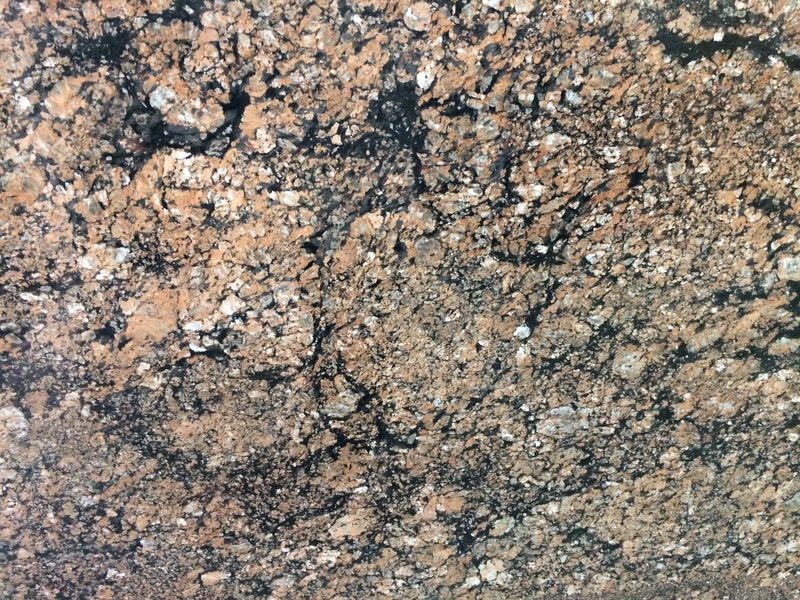 Atlantic Gold granite color, at Granite Passion in Albuquerque, New Mexico. 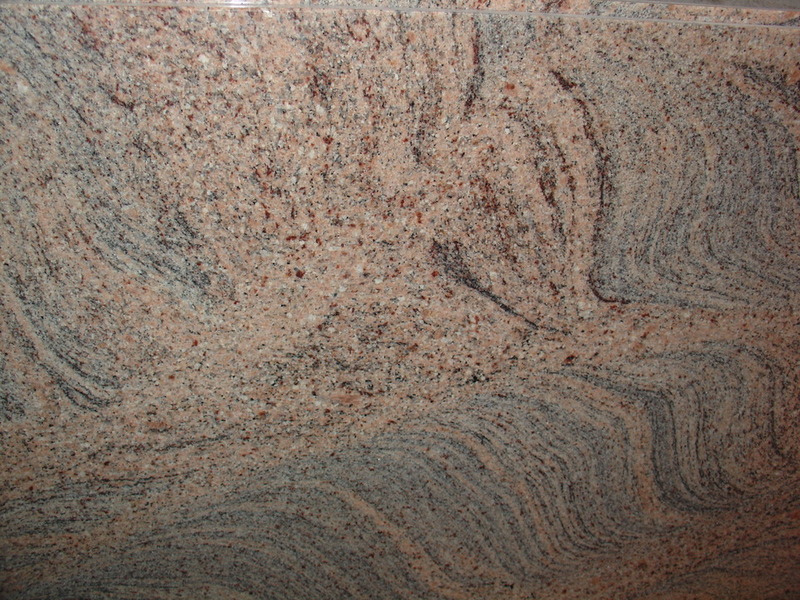 Dramatic waves of crimson and gold with quartz sparkles. 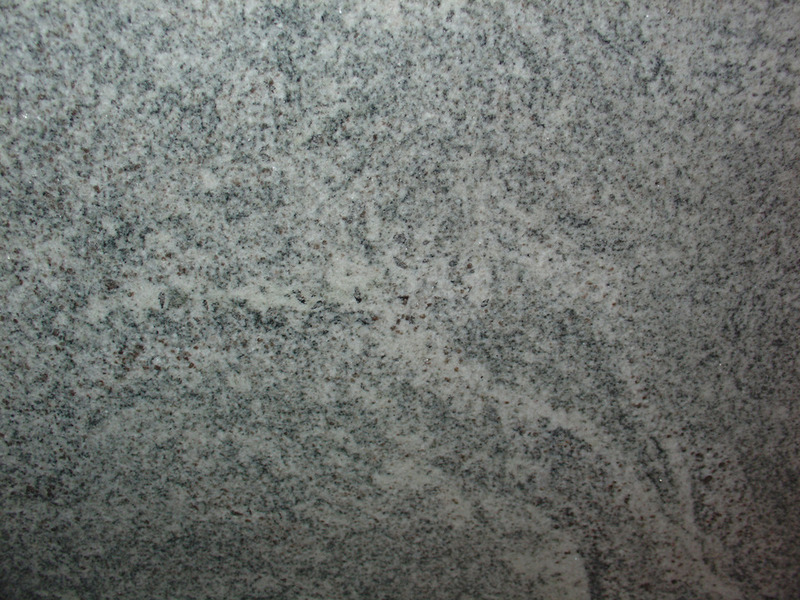 Ivory Gold granite color, at Granite Passion in Albuquerque, New Mexico. The warmth of aged ivory with hematite swirls.